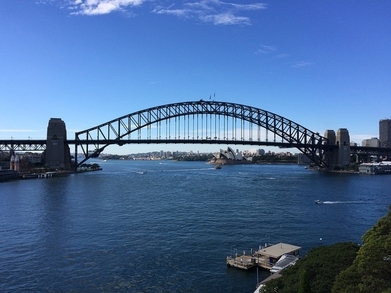 Travelling in Sydney on your Working Holiday Visa? Or just visiting Australia? Why not start your Australian adventure in Sydney by climbing the Harbour Bridge or plan a visit to the Opera House? Also, explore the World Heritage-listed Blue Mountains or the vine-lined Hunter Valley for an amazing glass of wine! Swim with dolphins in Port Stephens or Jervis Bay. Indulge in the culture in the galleries and drink, dine and shop in secret laneways. Whatever you decide to do, the fun is guaranteed! Go and visit the museums and the historic sites that can be located along Macquarie Street, soon to find yourself in the beauty of the Botanic Gardens. Head down to Bondi Beach and learn to surf or swim in the calm waters of Coogee. Explore the city’s streets and you’ll fine wine and jazz bars along with cute little cafes and boutiques. Head down Brunswick Street to shop ‘til you drop or maybe even catch an AFL game at the Melbourne Cricket Ground! If you want to swim with dolphins or visit a soothing spa be sure to check out Mornington Peninsula which also has an excellent winery.